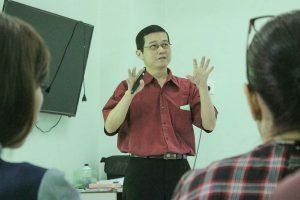 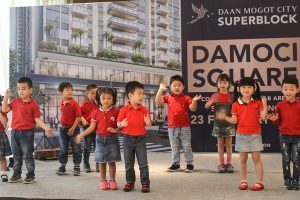 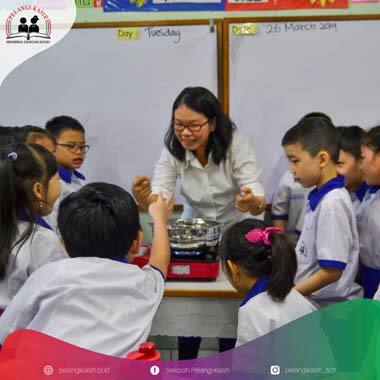 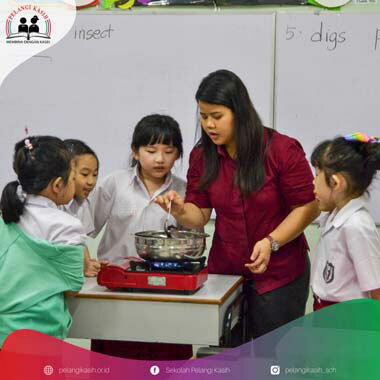 On March 25-26, 2019, our first graders at Sekolah Pelangi Kasih, together with their teachers, conducted a science experiment as they explored deeper about the changes in states of matter i.e. 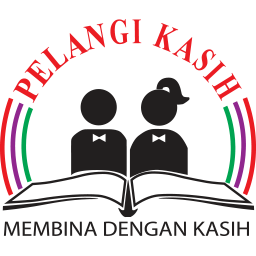 freezing and melting. 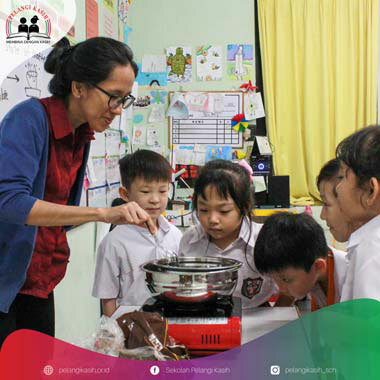 In this experiment, children had the opportunity to observe the process of melting solid chocolate bars, enjoy coating it around healthy and fresh fruit satay, and tasting them together with friends. 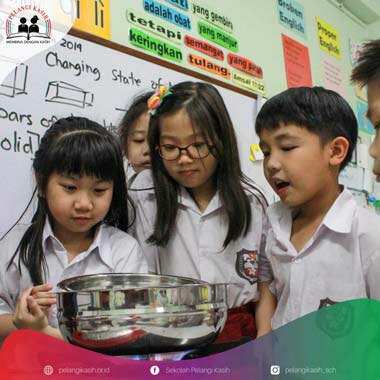 Through this activity, the changing states of matter from solid to liquid and from liquid to gas were clearly demonstrated. 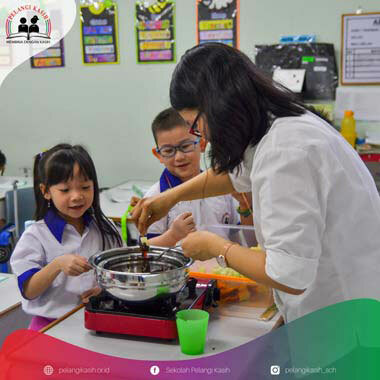 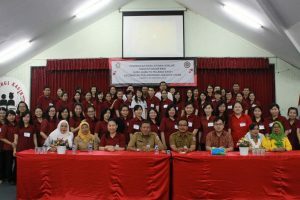 Children not only enjoyed this activity because they were directly involved in the experiment, but also because they had so much fun with the medium used (i.e. 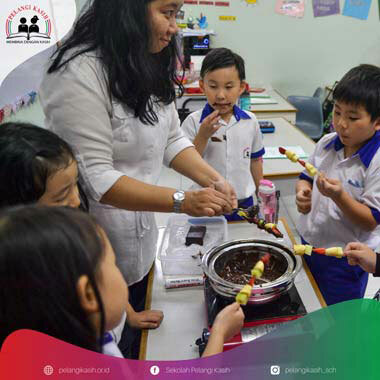 chocolate bars and fruit satay). 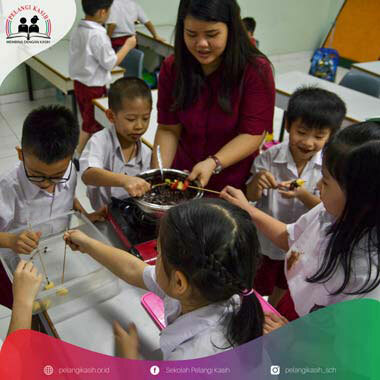 Through this experiment, children are expected to have a better grasp on this topic and to have their learning motivation fruitfully grow.